As a distributor of chemical substances, we consider quality as a matter of key importance at any place and at any time. 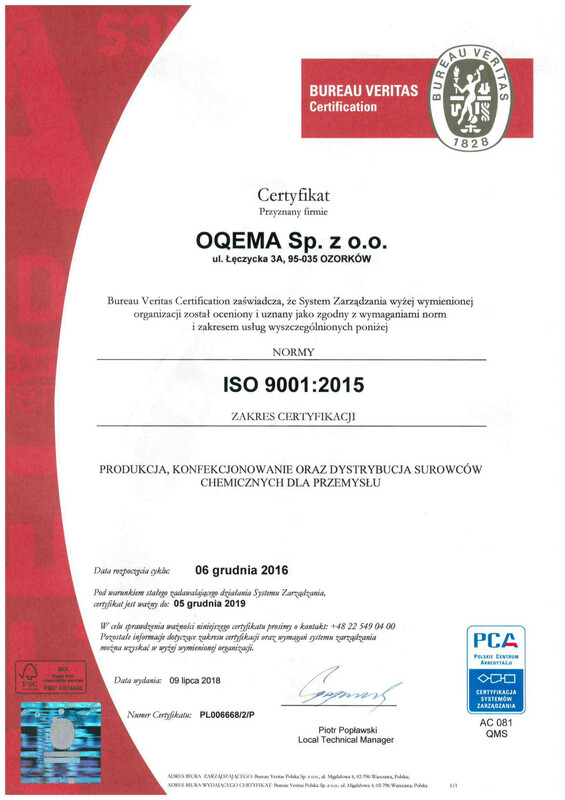 The ISO 9001:2015 certificate we have obtained is confirmation for our recipients, suppliers and partners of the high quality of our goods and services. With regard to the rule that success of a company depends on its employees, we put great emphasis on the improvement of our staff qualifications and skills. The Quality Management System applicable in the OQEMA Group includes staff training programmes.